To really understand how witty the title is, you have to understand wordplay - idioms, puns, phonetic mix-ups. In this case it's a double entendre, a figure of speech in which the words are meant to mean one thing, but can have another, more subtle meaning as well. The obvious interpretation here is that the level of cheese making in Wisconsin has reached a more superior level compared to other cheese-making states - a "higher state". Like reaching a higher state of consciousness, for example. But are you able to detect the subtle, hidden meaning underneath that might be lost on non-Americans? 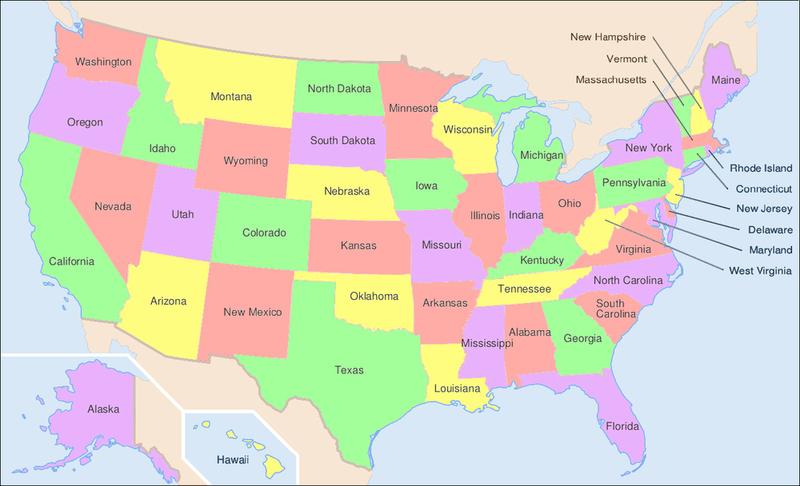 Take a look at this map of American states. Where's Wisconsin? See if you can locate Wisconsin on the map. Hint: it's a yellow state! And the "Aha!" moment arrives! It's a "higher state" where cheese is made - a "higher state of cheesemaking"! Oh ho ho, ha ha ha! Guffaw! That's clever! More credit to the Wisconsiners (Wisconsinites?) for having such a good sense of humor about it. They're often the brunt of many another state's jokes, particularly for their cheesmaking! If you've reached this far in the text, thank you for indulging me. Until next post!